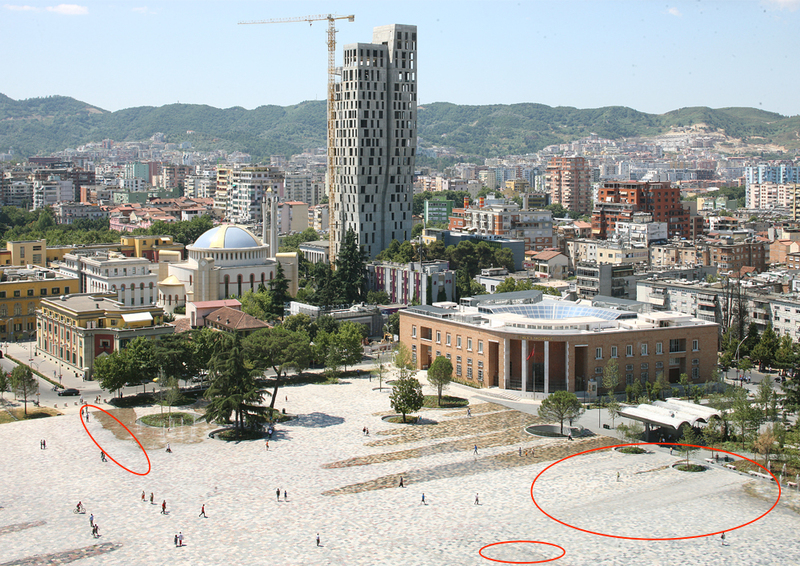 The renovation of Skënderbeg Square designed by Belgian architecture firm 51N4E and Albanian artist Anri Sala and implemented by Fusha shpk has been shortlisted for a Mies van der Rohe Award. The Mies van der Rohe award is a biannual prize for the best example of European archictecture completed in the last two years by a European architect. From 383 nominations, a shortlist of 40 projects was selected by a jury of seven that comprised George Arbid, Angelika Fitz, Ștefan Ghenciulescu, Kamiel Klaasse, María Langarita, and Frank McDonald. 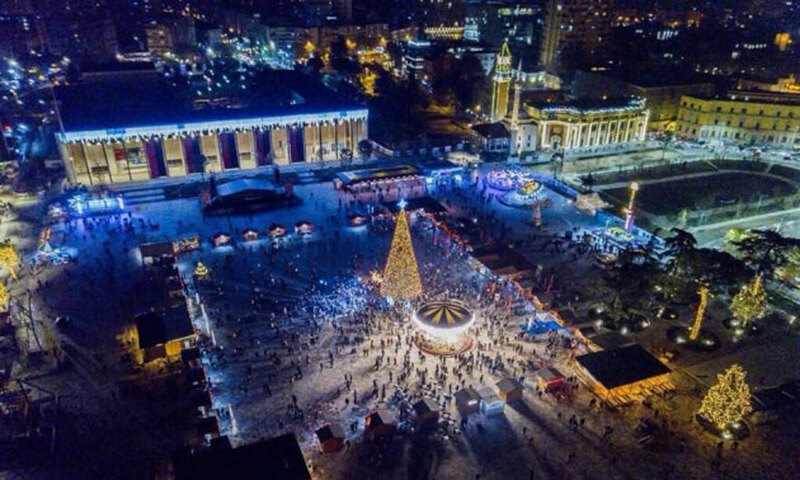 The redesign of Skënderbeg Square dates from Prime Minister Edi Rama’s tenure as mayor from Tirana. Construction started in 2010, but was halted in 2011 by newly elected Tirana mayor Lulzim Basha. The project was continued by Basha’s successor, Erion Veliaj after the 2015 elections that brought Edi Rama to power as Prime Minister. The project was not without controversy. 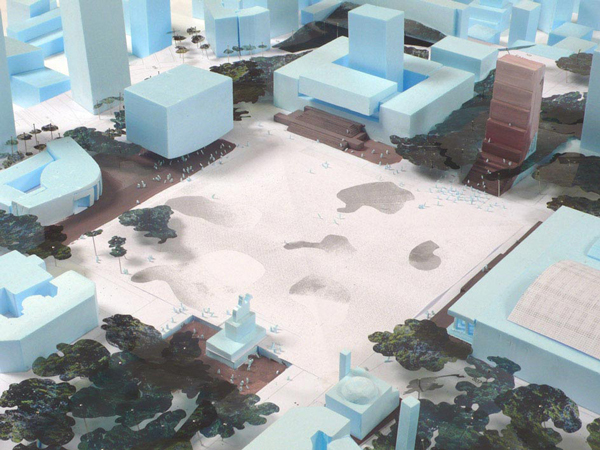 In 2015, the Flanders government decided to dismiss official architect Peter Swinnen, one of the founders of 51N4E, after an internal audit revealed the corruption between Swinnen’s company and the Albanian government linked to several projects, including the Skënderbeg Square redesign and TID Tower. The construction work on the square by government-allied construction company Fusha shpk has been marred by a series of multi-million tenders in which it was the sole competitor, and in which it was awareded between 99% and 100% of the total available fund. The total amount tendered to Fusha for the project, including the underground parking garage, have totalled a staggering €17 million. As such, it has become one of the costliest urban renovation projects in Tirana. Skënderbeg Square after its renovation with sedimentation indicated. One of the aspects of Skënderbeg Square promoted by the architects are its many fountains with “leaking water reveal[ing] the multi-coloured surface showing its beauty.” However, the low-quality tiles used in construction, which, in order to cut costs, were not treated with a proper coating, were severely affected by the fountains, which immediately left layers of dirt and sediment on the tiles caused by the high evaporation rate in the summer. Moreover, the water management system of Skënderbeg Square has proven to be defective. Heavy rainfall in Tirana last year caused the flooding of the adjacent buildings of the Tirana Municipality and the National Library, destroying substantial sections of the municipal archive and library holdings.